Two winners from UK universities have been awarded large grants to help fund research into new bioelectronics devices. As part of the EPSRC Healthcare Technologies Challenge Awards, Dr Rylie Green from Imperial College London and Dr Frankie Rawson from University of Nottingham were awarded grants of £1,053,480 and £950,798 respectively. Dr Green’s research focuses on developing soft polymer bioelectronics, to be used in devices such as cochlear implants, bionic eyes and brain-machine interfaces. 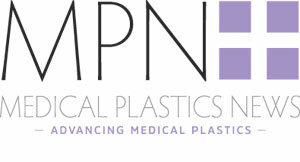 The aim is to develop the polymer to help improve cell interactions, prevent rejection and minimise scar formation. The polymer material that Dr Green is developing can be used within cochlear implants to help push currents through the body at a faster rate, helping them to hear better. Speaking to newelectronics, Dr Green said: “Cochlear implants currently have 22 channels of stimulation – a limitation caused by the fact they are made from metals. Metal conducts electricity using electrons, while the body uses ions. The material we’re using can conduct electricity using both. On the other hand, Dr Frankie Rawson from the University of Nottingham is developing new bioelectronic devices which can treat diseases such as cancer, without the need for invasive surgery. As reported in newelectronics, the device works by applying a current to modulate cell proteins and stimulate communication. Speaking to the site, Dr Rawson, said: “By inputting electric fields, we plan on modulating electron transfer, which can then be used to sense and actuate chemical reactions. We’ve demonstrated that cancer cells efflux electrons and metabolise more quickly and grow faster than normal tissues. If you can modulate that external electron flux electrically, we may be able to treat cancer”. Dr Rawson plans to develop nanotechnology and use conducting nanoparticles to cause a modification in cells’ metabolism, triggering it to kill itself. Dr Rawson also believes that by using wireless electrochemistry to self-assemble conductive wires around brain tumours, cancer patients’ lives could be extended. His plan is to develop a wearable device that modulates electric fields and targets the area of disease.